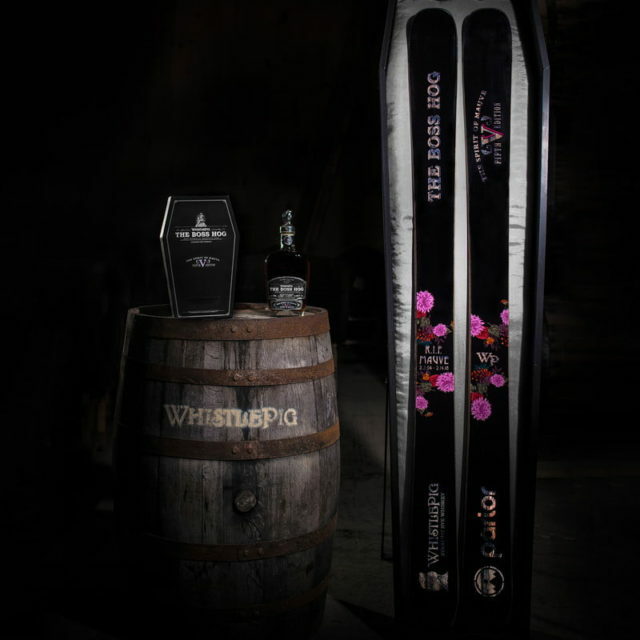 This week, Boston-based Parlor Skis and Vermont-based WhistlePig distillery announced a collaboration that combines two of our favorite things in the world: skis and whiskey. The collaboration started when the folks at Parlor and WhistlePig met up on the mountain, and decided to find a way to incorporate the staves from WhistlePig’s barrels into a ski. The end result is the “Boss Hog” package, which includes a bottle of WhistlePig’s most exclusive, high-end whiskey, the “Boss Hog V: The Spirit of Mauve,” and a custom ski from Parlor that features sidewalls made from the very oak staves in which the Boss Hog V whiskey was aged. As for the skis, the Boss Hog package includes a custom “ski fitting” with Parlor to dial in the shape and construction for you, and then Parlor will finish your ski with the stave sidewalls and Boss Hog graphic. Check out the whole package here.